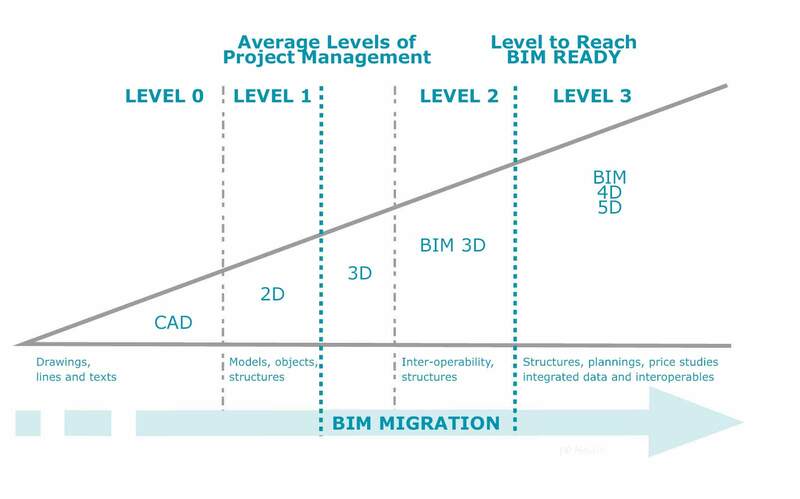 The objective is to accompany the different groups, companies, architects’ offices, design offices as a BIM expert (“Building and Model Information”) for the management and monitoring of the development of the BIM digital model, and make sure it is implemented in an Operational way throughout the project life cycle. From the concept to project delivery phase, the deployment of the BIM model tool will seduce you. We propose to accompany you throughout the life of your project until facility management phase with the deployment of the appropriate parameters. The establishment of the BIM Execution Plan: BIM specifications, definition of the development levels and establishment of the collaboration plan with the project management team. The BIM Executive Manager Mission, which consists of analyzing digital models, guiding and assisting companies and consulting firms in the BIM process. Great expertise in production, management during all phases of BIM Model production for all trades with never loosing site of the associated deliverables for all parties. Experience in supporting public and private structures as BIM manager. Experience as head of technical departments on major projects with a good knowledge of the expectations of each party and the implementation of practical tools.